My secretarial and administrative background has given me the tools to enjoy the secretary's role at Upbeat since 2010. 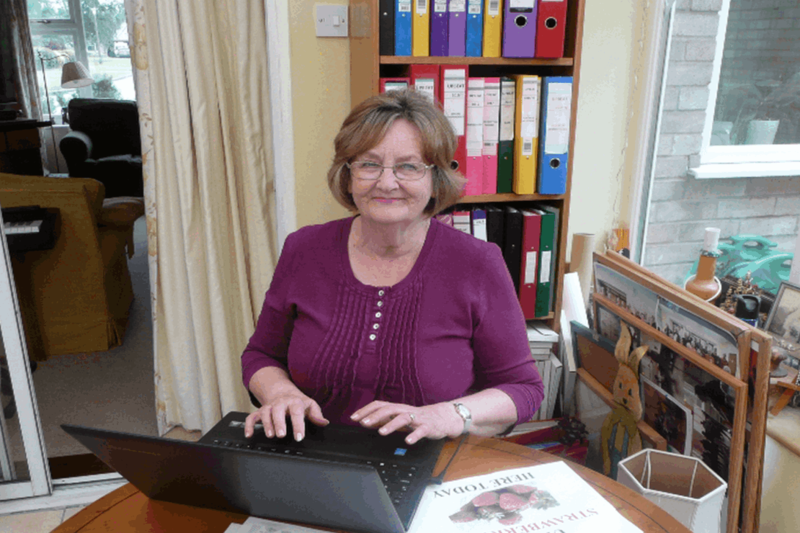 The search for grants has been a major part of my tasks, something which is getting much more difficult each year. I was brought up in Quendon in Essex and have moved around East Anglia: Stansted Mountfitchet, Royston, Cambridge and Moulton and then on to Hartest for many years as a farmer's wife. I have had a varied work life, staying at home to look after the children for many years, and then going on to various administrative roles. Upbeat has been part of my partner Giles' and my life since he had heart surgery in 2010. It gave us the confidence to live life again and not always be worrying about the future. The support from the friends we have made has been hugely beneficial and I hope we have repaid that in some way by helping out the group.